Nurture and ignite their creative flair with the Kids Projects range, inspiring kids to get artistic and design their very own masterpieces to keep or share. Be as colourful and original as you like with the Mug Makeover, the ultimate stocking filler for children 8-12. And – perfect for making play time fun on those cool summer nights, the Funky Fridge Magnets and the DIY Magic Clay Plaster Moulding Kits will put those artistic skills to the test for hours. Ideal for ages. 5-12. 1. 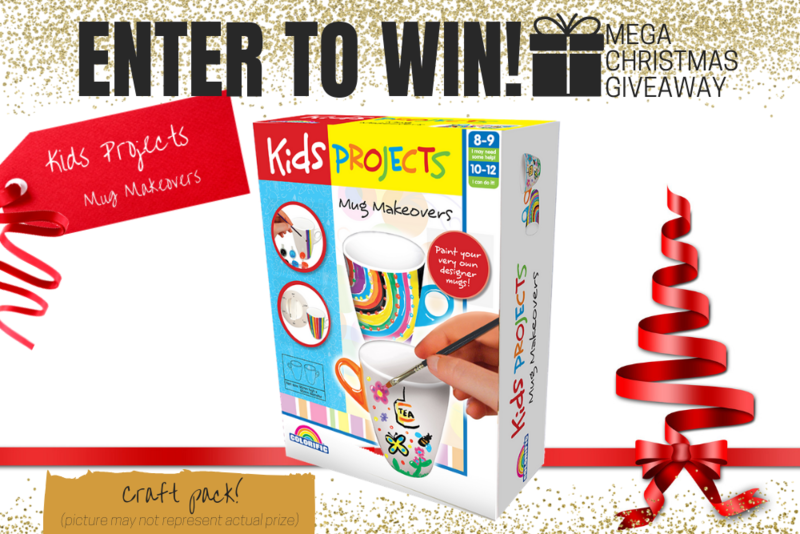 **Kids Projects - Mug Makeover. Total Prize Value $19.99** AUD (the "Prize"). 2. It is the responsibility of the winner to collect the Prize within 7 days of the end of the Competition Period from the Promoter’s Mornington office. 3. The Prize, or any part thereof, must be accepted as awarded and is non-negotiable, non-transferable to another person and non-convertible and is not transferable for cash. 4. The prize must be collected from the Promotors Mornington Office, unless otherwise advised.